Taylor had expected a rough landing, but instead found herself on a soft carpet of grass as if a giant's hand had lowered her gently to the ground. During a dance performance, Taylor and Leslie mysteriously fall into the enchanted land of Larkspur. With the help of Redmond, the great counselor-in-training, they discover their mission: to perform the magical Dance of the Dawn in order to help their beloved dance instructor, Madame Lumiere, find her way home from the Earthly Realm. But first they must rescue the adored talking pet of the Fiery One and aid Little Light, the glowing princess, as she bravely sets off to rid Larkspur of the cruel Puranna and despicable Derrick of Dungeoness. If everything goes as planned, Taylor and Leslie will also play an important role in freeing Larkspur's true king and queen from the Murky Realm, where they have been imprisoned for over a year. Join Taylor and Leslie in Anastacia Hawkins's Larkspur as they discover the depths of their courage and faith and the risks they are willing to take for friendship. You will fall in love with the Areli, the amazing people of light, and Larkspur, a land where beauty and the arts reign and magic abounds. Anastacia Hawkins takes us all, young and not-so-young, on a magical trip through the land of Larkspur. Her setting and characters are well-drawn and we care about them immediately. The story and the length of the book are perfectly suited to the younger reader, without losing the focus of their elders. I believe there is a second book in the wings, and I can't wait to read it. Or whatever else she might conjure up. Leslie and Taylor loved their dance teacher Madame Lumiere and built their self-confidence as she taught them. Madame Lumiere was in her eighties and was one of the oldest dance instructors, yet she was amazing. The lady was from Larkspur and had a slight Irish lilt to her voice; she even made their dresses (complete with a touch of magic). During a recital the girls heard their cue and danced on the stage when suddenly Taylor felt dizzy and began to fall; both girls landed softly on a carpet of grass. A young man named Redmond rushed to them thinking one of them was Luminara. He explained to the girls that Luminara (Madame Lumiere) was the true queen of the realm of Larkspur. A female warrior named Puranna used dark magic against Larkspur's king and queen, luring them into the Murky Realm never to return. Puranna declared herself to be the new queen and hypnotized the villagers when they tried to rebel. She also banned dancing in the kingdom. Redmond introduced the girls to Claire, Luminara's sister and the next in line to the throne. Can the girls save the kingdom of Larkspur? Are they truly up to the task set before them? Can they dance the dance that will bring Luminara home? 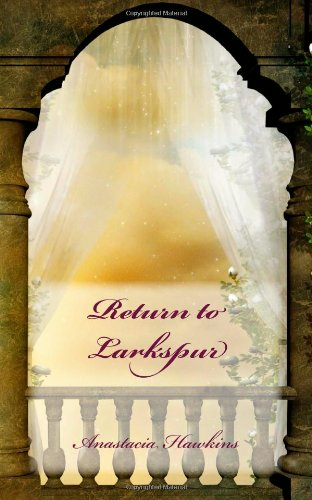 Anastacia Hawkins offers readers a mystical journey into the land of Larkspur. Her tale reads much like the fairy tales I grew up on. 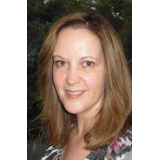 She has created characters that are likable and endearing. Who would not like Redmond, Taylor, Leslie and Luminara? Larkspur is simple and easy to read, with 102 pages. I would like to see Hawkins make this a series. Female readers from third to sixth grade will quickly be swept away by this tale. On the stage of my mind's eye I could see the scenes as they played out. Hawkins has combined, adventure, action, and romance in this tale; what more could a reader ask for? Well done Ms. Hawkins, what else do you have in store for your fans? What a wonderful adventure Taylor, Leslie and Mason have! If Larkspur were really just a toe-step away I'd be there for sure. I was eager to see just what this interesting title was all about. I loved the young ballet students, Taylor and Leslie, and it was easy to fall in love with these charming girls and their friends. Being transported to another world with a glass of iced tea and Larkspur was a wonderful break in the day. The author did a great job of describing this magical land, leaving you feeling that you were experiencing the sites firsthand. Young girls especially will love this adventure, but folks of any age will feel the read was worthwhile. An imaginative and magical book, Larkspur is a fun read for elementary and middle-school aged audiences. Its themes of perseverance, faith, and loyalty to friends and family are universally appealing and engaging. Thank you to Ms. Hawkins for introducing us to this enchanting world, and I hope we will see many further adventures of Taylor and Leslie. Ballet students Taylor and Leslie are performing on stage when they find that they have suddenly been transported into another world. The World of Larkspur holds both mystery and adventure for Taylor,Leslie and their friends (new and old). These two young ballerinas will soon find themselves dancing for more than just applause from the audience, they are entrusted to perform the "Dance of the Dawn" to return their ballet instructor to her rightful home. Through team work Taylor and Leslie and their friends learn to trust themselves, their magical gifts from Madame Lumiere and each other to attempt the unthinkable and free the King and Queen of Larkspur from the Murky Realm and restore Madame Lumiere to Larkspur. You will find yourself captivated by the magic of Larkspur and it's inhabitants, especially a certain little baby frill. Will the girls learn the "Dance of the Dawn" in time to free Madame Lumiere and return the King and Queen of Larkspur to their castle ? Can the light overcome the darkness of the Murky Realm?. Guess you'll just have to read the book to find out what happens! You'll be glad you did. "Larkspur" is a great summer read for the young and "young at heart".